Fast forward 23 years and metiers d’art are appreciated by watch connoisseurs and therefore much in demand, so much so that several brands, such as Vacheron, have their own in-house atelier. For Selmoni, the brand’s heritage is an important part of its long-standing support of crafts. After all the very first pocket watches manufactured by Jean-Marc Vacheron in the mid-18th century had their movements adorned with fine engravings. For these four techniques, Vacheron has in-house craftspeople to work on limited editions or made-to-order commissions, but occasionally it also looks outside for help with crafts it has not mastered. In 2010, it reached out, for example, to a master lacquerer from the House of Zôhiko in Kyoto, to cooperate on a collection that uses the ancient technique of Japanese “maki-e” where sprinkled gold or silver dust on still moist lacquer is used to create the motif. “This was an interesting project, because we wanted to bring our knowhow in watchmaking, with his know how in lacquering in a true partnership on the dial, so each partner really has 50 percent of the space on these skeleton watches,” Selmoni explains of the Métiers d’Art La Symbolique des Laques collection. Last year, Vacheron worked with a wood marquetry craftsman, one of only two “masters” in Switzerland, to create two of the dials of its L’Eloge de la Nature collection. In one scene, depicted in pink gold miniature, three wild mustangs prance around a wood marquetry mountain landscape with a snow-capped peak of whitened wood lace-work, while in the other two engraved chamois skip between rocks in a snow scene. This year, Vacheron remained in-house looking to its engravers for two timepieces with their movements entirely hand-engraved with scrolling motifs and arabesques, reminiscent of the engravings gracing the first pocket watches created by Vacheron Constantin from 1755 onwards. Considering other métiers that go in and out of fashion, he says he is content to focus on the four main decorative crafts. “Frankly it is more challenging to create new concepts incorporating the existing crafts that we have rather than go around to make a media buzz with some unusual crafts that will last for a couple of years. We are very faithful to our roots and our history and it’s a challenge to nurture these crafts and develop them in a very contemporary context. We think it’s better to do this than chase novelties, we really think it’s more important to work deeper with the technique we know,” he says. Born in the Vallée du Joux and with his grandfather working for Audemars Piguet, it seemed likely Selmoni would work in the industry. Yet it wasn’t an easy path as Selmoni finished college in 1975 right in the middle of the quartz crisis. “It was truly a terrible time. I can still remember many years later the tensions we had at home. Jobwise it was a devastation in the valley. I think we lost 40,000 jobs in watchmaking in a couple of years,” he recalls. Selmoni studied economics and started working in the financial industry, where he admits he was “quite bored,” until one of his friends asked him in 1990 to join Vacheron Constantin, which at the time had a team of about 80 people. He was put in charge of purchasing and started to learn the business, negotiating with suppliers and developing an interest in how the product was made. In 1996, Selmoni was appointed head of production and planning, which added another facet to what he had quickly learned, and in 2001, he was asked to create the company’s first internal design department and started work on a special collection to celebrate the 250th anniversary of the brand in 2005. “Couture has its petite mains. 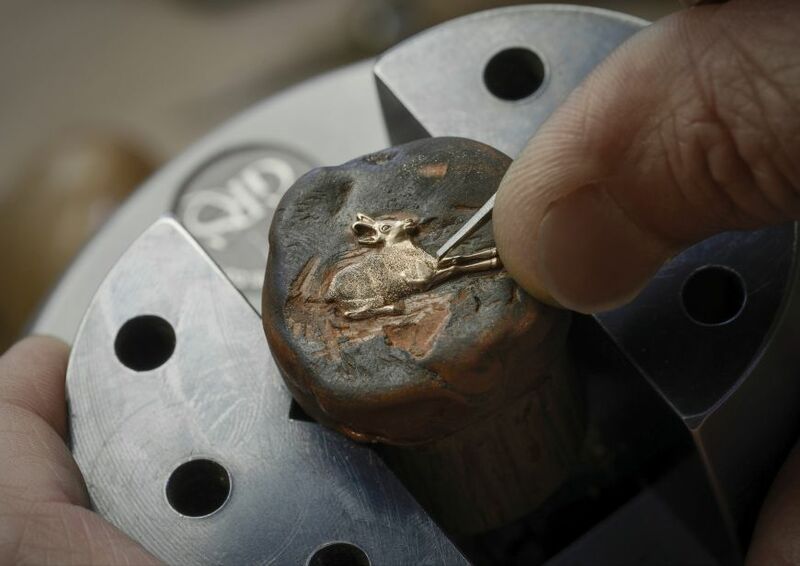 Watchmaking has also a long tradition of using craftsmen. The key is to bring these old crafts into the 21st century designs,” he concludes.